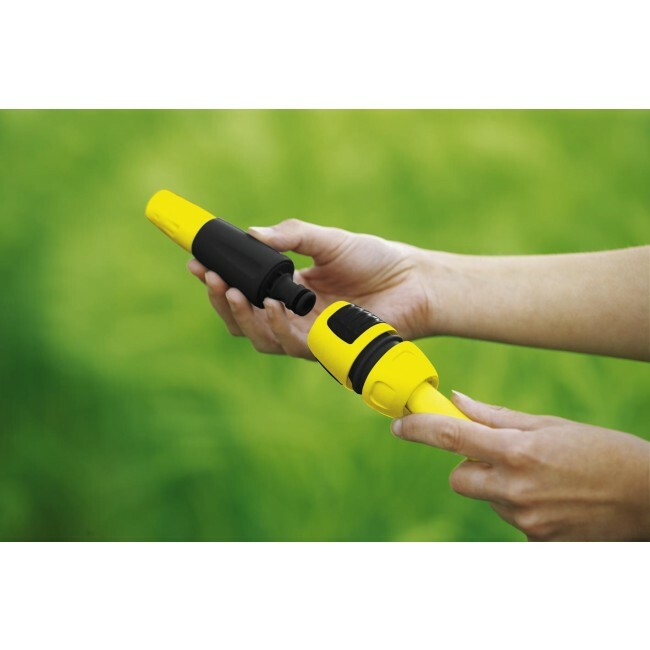 Spray nozzle for watering small areas and gardens. 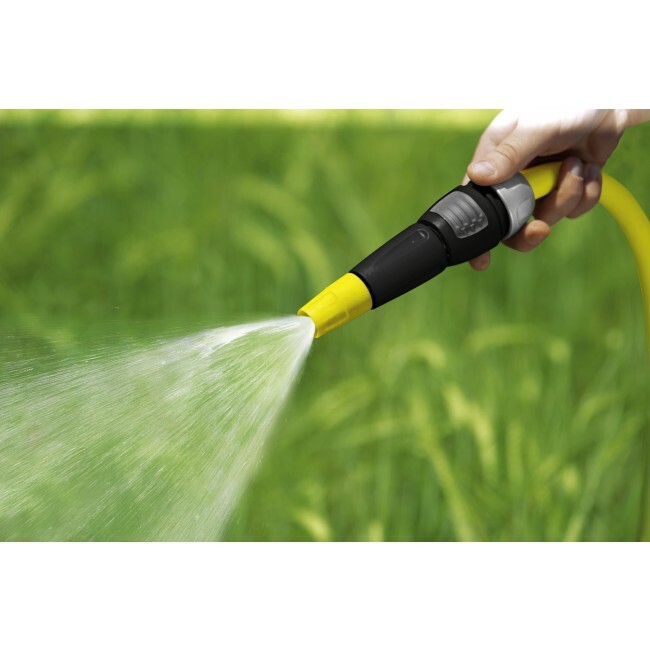 The ergonomic grip allows convenient one-hand operation for effortless watering of all kinds of plants. The spray nozzle offers other features such as convenient one-hand flow control. Spray pattern adjustable from hard jet to gentle spray. The spray nozzle combines an attractive design with ease of use and a range of useful functions. In brief: the ideal solution for numerous uses in the garden. 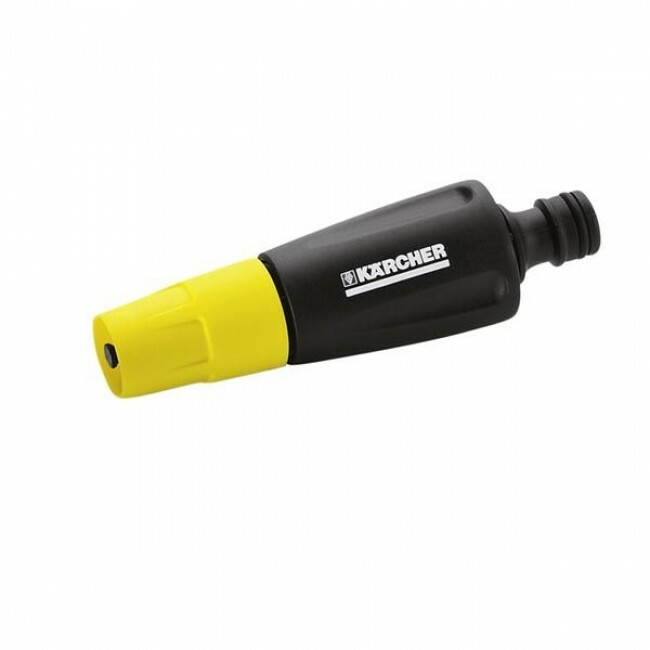 Note: Kärcher spray nozzles are compatible with all available click systems.